Do you want to create your own blog? Do you want that chance for the world to read what you write? Yes, you think that you are ready to start a blog. As a beginner how about, you start with something free and easy to set up. Having a blog of your own is exciting. You have the freedom to express yourself like never before, stand for what you believe in and connect with people all over the world. These five steps start up process would help you start a free domain account on blogger. 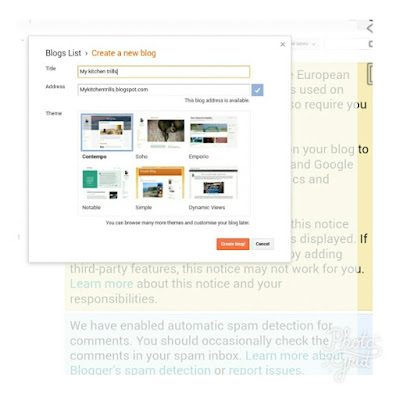 Blogger.com is blogging platform bought by google in 2003. It includes a subdomain at example.blogspot.Com. A custom domain (.com) can be bought later, removing the blogspot. why start with a blogspot blog? It is free, simple and easy to start with. It is somewhat trusted since it is owned by google. You have freedom to edit the blog to your own taste, compared to other free blogging platforms such as wordpress, weebly, tumblr and so on. Easy monetisation and monitoring of google adsense earnings. In order to create a blogger account, you must have a Gmail account. 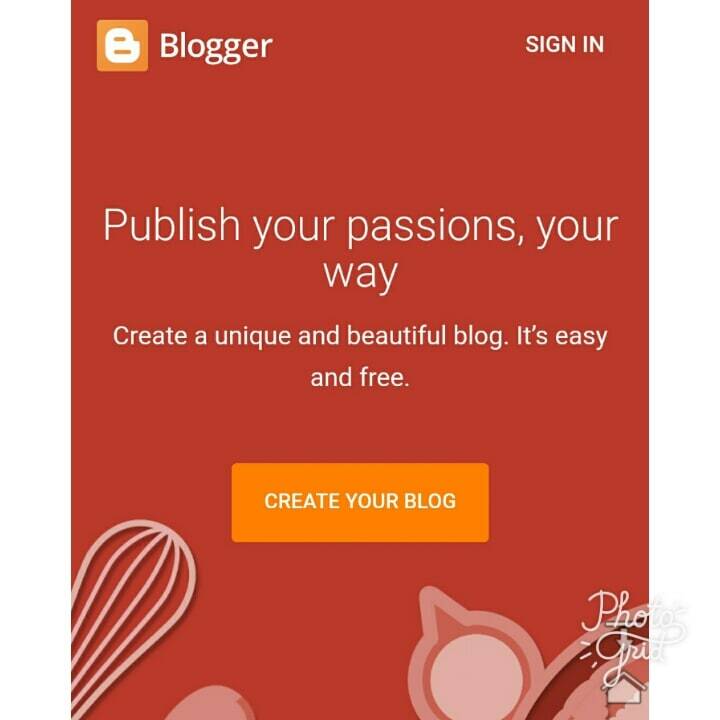 To get started, go to blogger.com, then you will be greeted by their homepage. 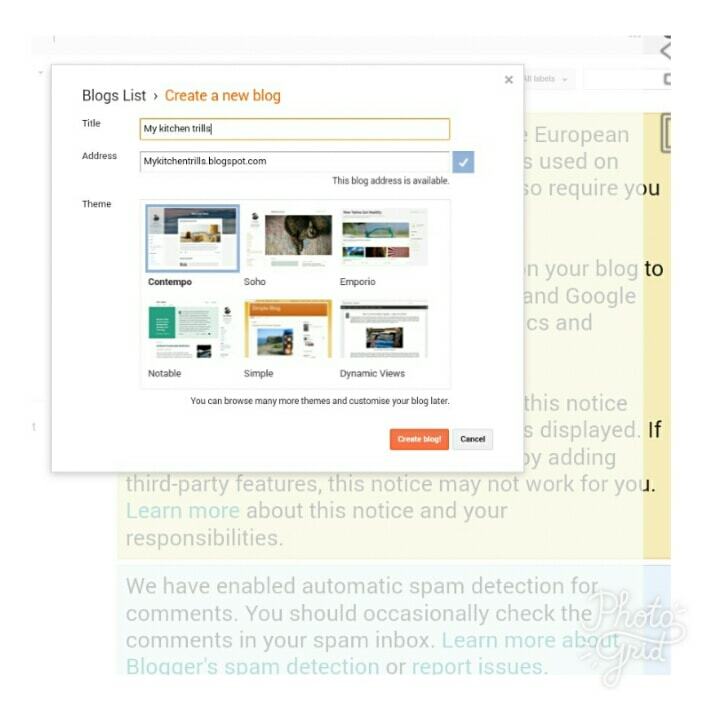 Click on “create your blog” and sign in or create a Gmail account if you don't have one yet. 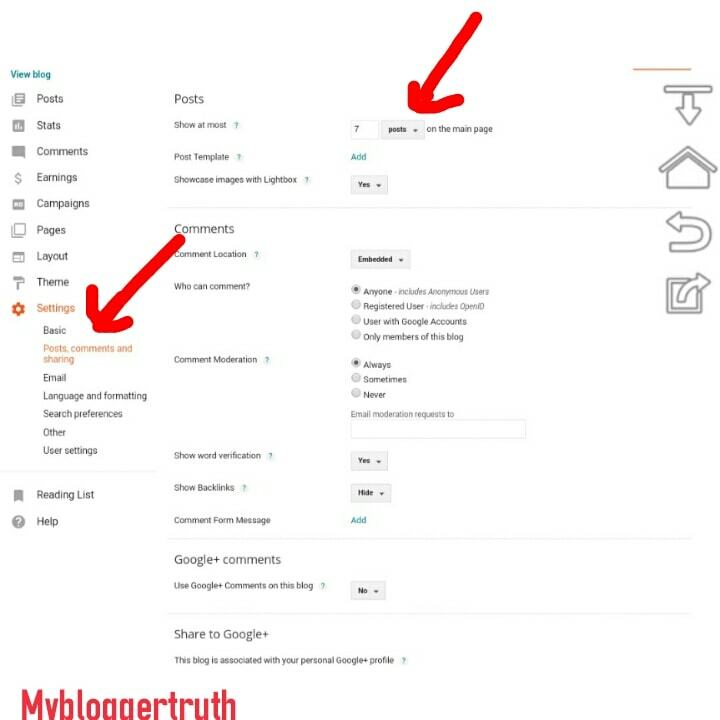 Once you have signed in, you will be asked to either continue using your default google plus profile or switch to a Limited blogger profile. It will be recommended to stick to using your google plus profile, for easy share of blog post to your circles and groups. So just click on "continue to blogger". On the next screen, proceed by Selecting "create your blog" once again. You are almost there. 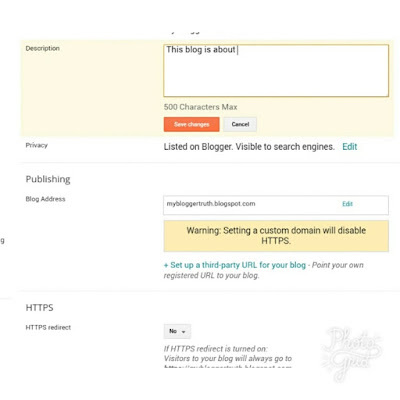 This step requires you to select a blog domain name under blog address. The domain name would be unique only to you and with this anyone in the world can access your site and follow you. 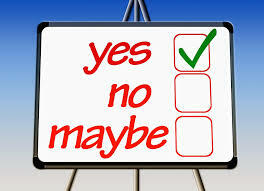 Choose your blog title wisely, preferably what your visitors can remember and come back to if they like your content. The amount of theme available at the onset is limited but just select one for the now, it can be changed later on. When you are done with your selections, click on the "create blog” button to proceed. Now that you have a blog running, it is time to optimize your BlogSpot blog. 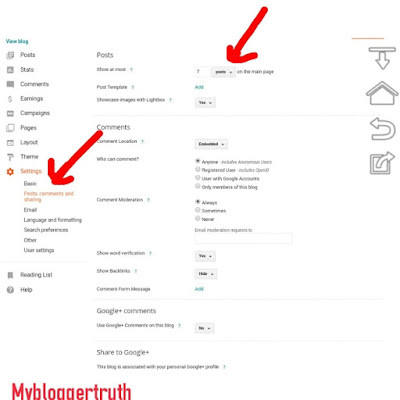 This step would make your blog visible to more search engine, so that users can find your blog easily. On your dashboard, then click on "Settings" on the panel to get started. Under the main settings panel, Select "basic". Then write a detailed description about your blog, make sure you include all the necessary keywords. Also add a meta description that would show on in a search results. This should be well written and free from any grammatical errors. Under settings, click on "search preferences". Write the description under the meta this. For example, "A blog about cooking continental dishes, recipes and dinning courtesy"
On this page, you can choose the number of post you want to show per page, who can comment on your blog and a sharing on google plus options. On the Layout page, here you can edit the arrangement of the different section of your homepage. It is possible to add and remove different gadgets from the sidebar, header, and footer. Proper arrangement is necessary for easy navigation. The selected theme can be edited or changed. 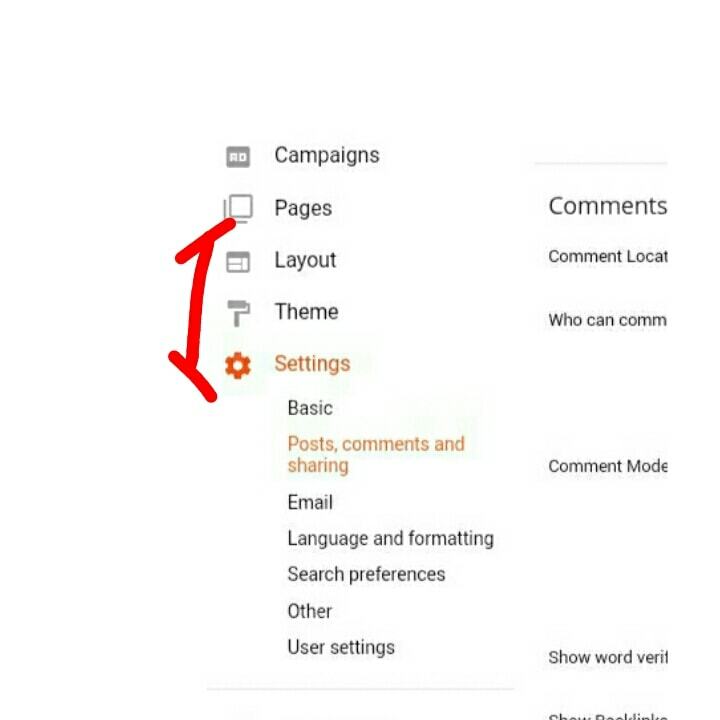 If you are not satisfied with the themes available on blogger themes page, it can be changed. A custom theme can be gotten from a variety of websites online, while some are free, some premium themes have to be paid for. There is no limitation to the amount of content you can have on blogger blog. Express yourself the way you want, the only rule is "don't post adult content" especially if you are thinking of making money from your blog later. Keep all the content you have on your blog original. 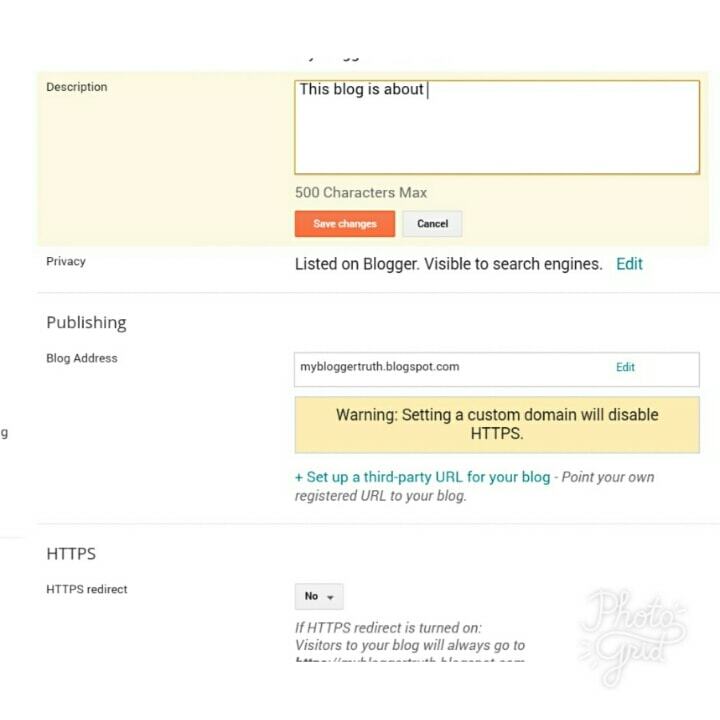 Plagiarism is highly prohibited in the blogging community. Use relevant images in blog posts to aid reading. Careful also not to use copyright images. Congratulations! you own a blog without even spending a dim. If you have not yet set-up your blogger blog, just follow these five easy steps to start up in less than 20 Minutes. Thanks for commenting. For a free blogspot blog, you already have a https enabled. this very interesting and captivating, keep it up. Thank you so much. Hope to hear from you again. 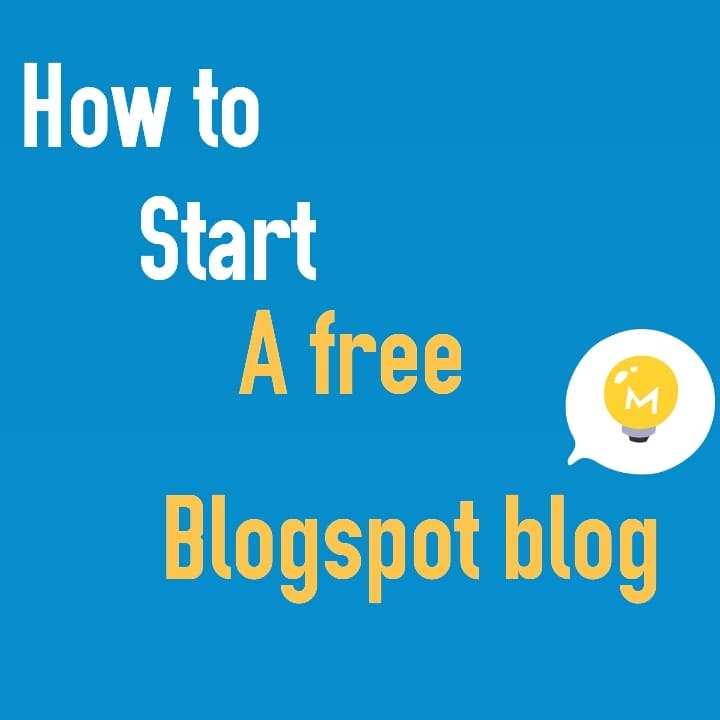 Yeah an easy and simple way to start you very own blog :).